Today I had a journey out to Steve Jordan Motorcycles for them to Dyno run my diesel bike, after an uneventful journey over there, I was pleasantly surprised with the the results. 406CC Yanmar, 4 Speed Villiers with EP40 gearbox oil, running on BP Ultimate Diesel. 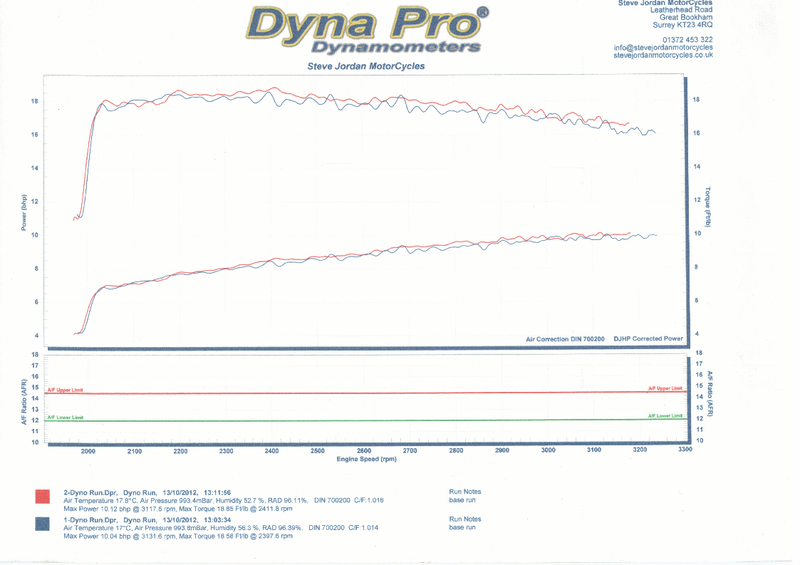 Have a look at the Dyno graph, it was run from 2000rpm to 3200rpm. DJHP Corrected means this graph is assumed power at the crank. This entry was posted in Diesel Honda Superdream by admin. Bookmark the permalink.